Wat Pra Kaew was built to house the Emerald Buddha which was returned to Thailand after Thailand's the capture of Vientiane in 1778. 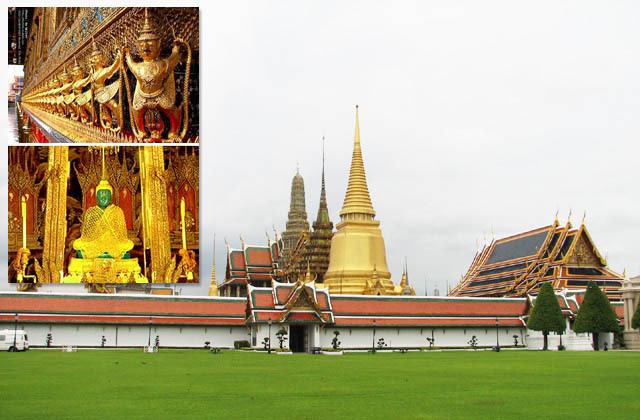 The Emerald Buddha is the most important representation of the Buddha in Thai Buddhism. To pray before the Emerald Buddha is to make merit, and although this is an important place on any visitor's itinerary, it is important to recognise that this is a place of worship and should be respected as such. Just behind the opulent extravagance of the Temple of the Emerald Buddha stands Wat Phra Chetuphon, which is more commonly known by its old name of Wat Pho . Most western tourists don't get past the temple's huge reclining Buddha, but there is actually much more to see than the one colossal statue. The temple is actually much older than the city of Bangkok itself. 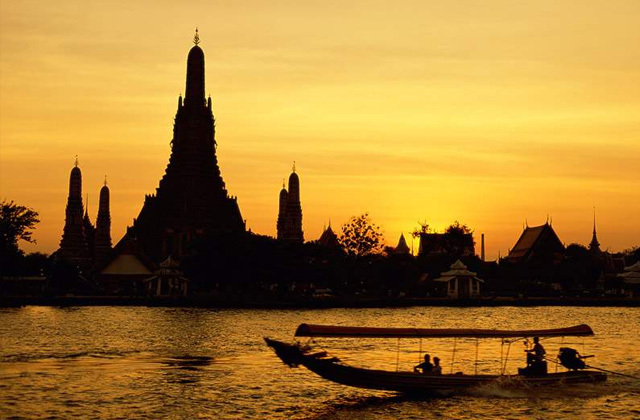 It was founded in the 17 th century, making it the oldest temple in Bangkok. 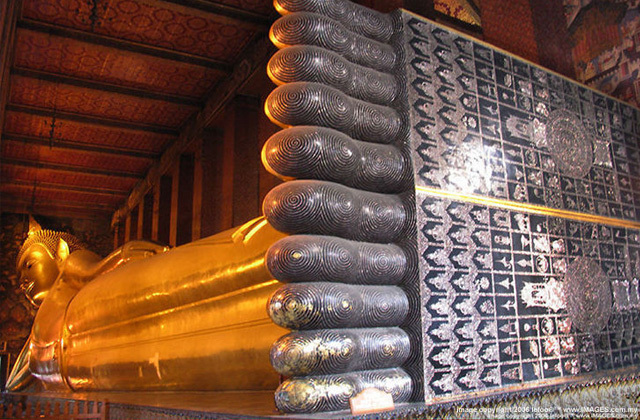 The name Wat Pho comes from its original name of Wat Photaram. King Rama I, the founder of Bangkok, enlarged the temple, installed many statues and other artefacts recovered from Ayutthaya, and renamed the temple Wat Phra Chetuphon in 1801. 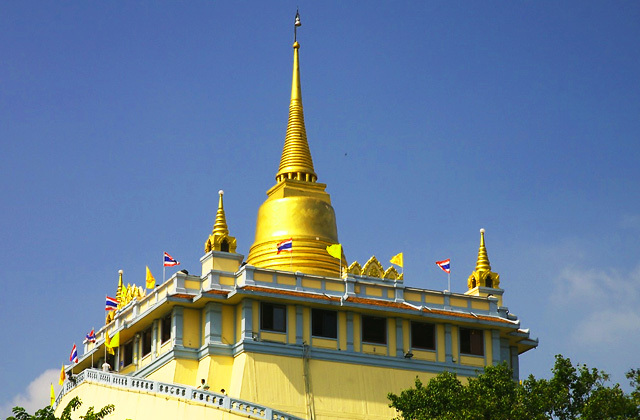 Located on the west bank of the Chao Phraya River, this temple can be reached either by Arun Amarin Road or by boat from Tha Tien Pier, near Wat Pho. 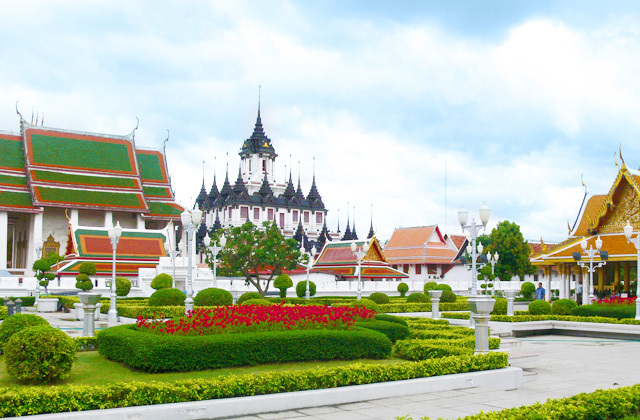 It was restored during the brief Thonburi period to be the Royal Chapel of King Taksin. An important structure is a 79 meter-high pagoda or "Phra Phang" decorated with ceramic tiles and fragments of multicolored porcelain. The name of this temple literary means "Temple of the Dawn" but the most beautiful view of it can be seen from the east side of the river at sunset. Wat Benjama Bopit is a temple compound of profound beauty and religious importance. 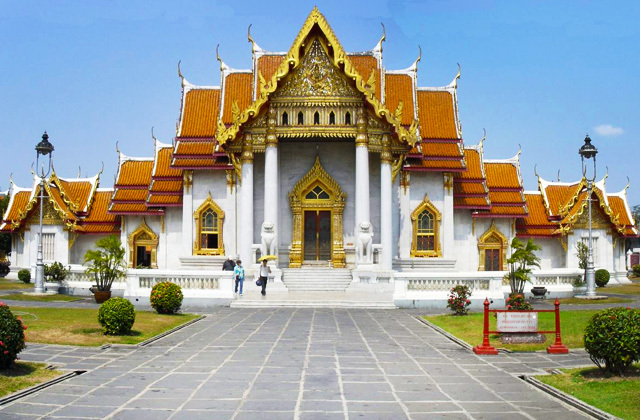 Better known to foreigners as 'the Marble Temple', it is located close to Royal Dusit Palace. Wat Benjama Bopit is not heavily promoted as a tourist destination, and therefore the number of foreign visitors is relatively small. 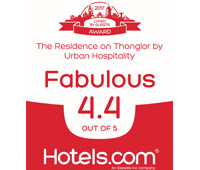 If you stay in Bangkok for only one day, you could be forgiven for wanting to see the Grand Palace and Wat Pho only, but any longer stay should rightfully include a visit to the Marble Temple. The Ubosot was constructed with Carrara marble from Italy, therefore the name. Wat Saket is an undistinguished temple except for the Golden Mountain (Phu Khao Thong), on the West side of the grounds. The steep climb up the Golden Mountain puts everything back in perspective and offers views over Rattanakosin Island that are simply stunning. The artificial hill was created when a large Chedi under construction by King Rama III collapsed because the soft soil beneath would not support it. The resulting mud-and-brick hill was left to sprout weeds until King Rama IV built a small Chedi on its crest. Wat Ratchanaddaram Worawihan is free to enter when open and is the only metal roofed Buddhist temple remaining in the world. Colloquially known as Loha Prasat, Metal Castle. Loha means metal in Thai. The roof is in the Thai style with the central roof point at 36m above ground level and a total of 37 spires in all, 37 being the number of chapters of Dharma in Buddhism.The upper stories are reached by way of a spiral staircase and the whole building is surrounded by cloisters.